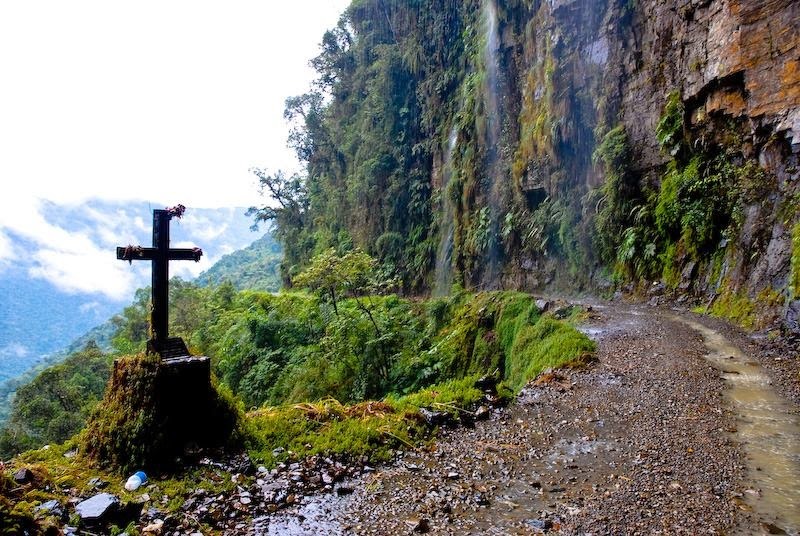 Death Road in the Yungas region of Bolivia, also called Grove's Road, Coroico Road, Camino de las Yungas and Road of fate. 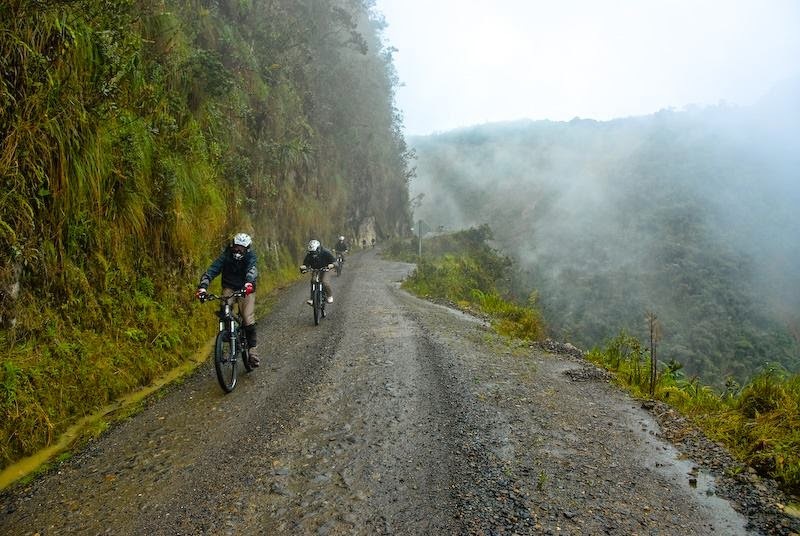 Leading from La Paz to Coroico, 56 kilometres northeast of La Paz in the Yungas region of Bolivia. 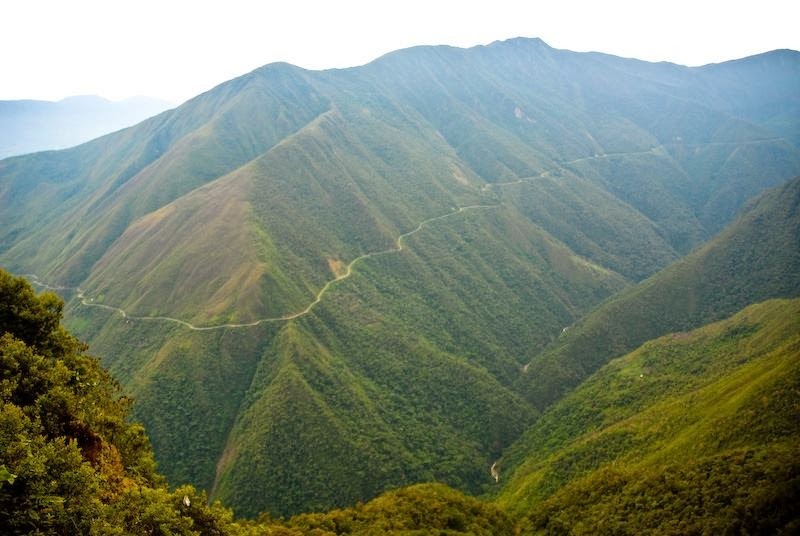 It is legendary for its extreme danger and in 1995 the Inter-American Development Bank christened it as the "world's most dangerous road", Same as from south — A South Yungas Road (Chulumani Road) exists that connects La Paz to Chulumani, 64 kilometres east of La Paz, and is considered to be nearly as dangerous as the North Road. Road death was built in the 1930s during the Chaco War between Bolivia and Paraguay Paraguayan prisoners. 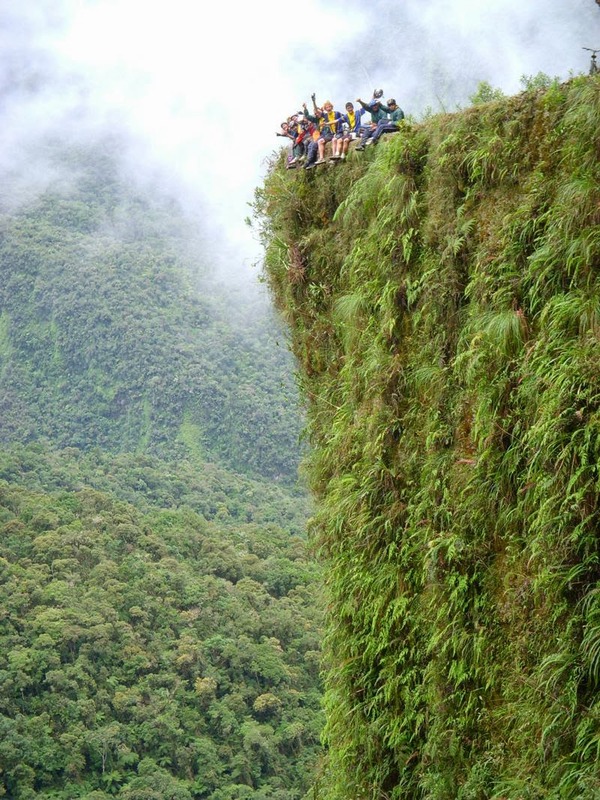 One of the few routes connecting the Amazon rainforest in northern Bolivia, in particular, the city of Coroico, in La Paz, the largest city in the country. 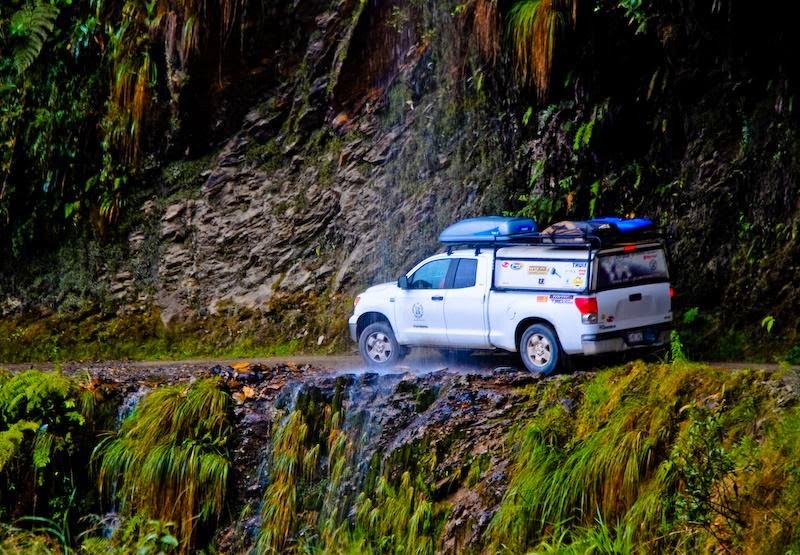 This is one of the few routes that connects the Amazon rain-forest region of northern Bolivia, or Yungas, to its capital city. 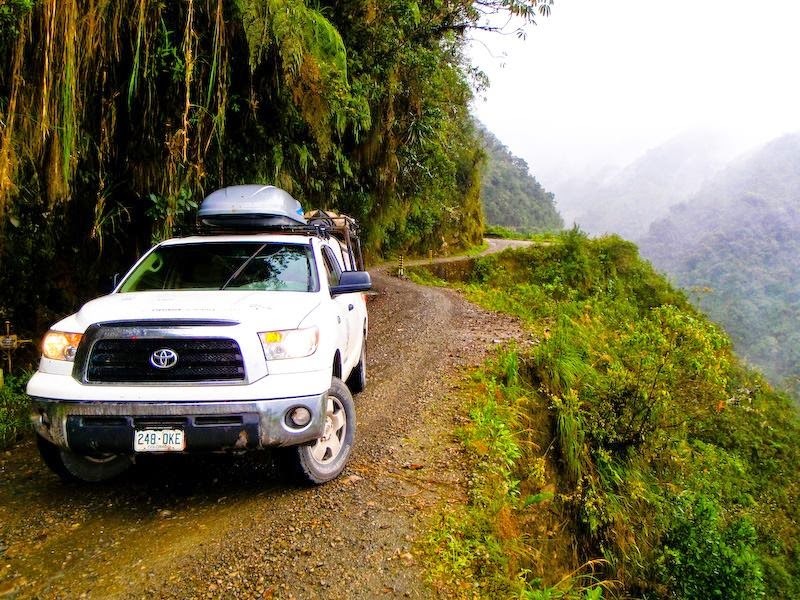 Upon leaving La Paz, the road first ascends to around 4,650 meters or 15,260 ft at La Cumbre Pass, before descending to 1,200 meters or 3,900 ft at the town of Coroico, transiting quickly from cool Altiplano terrain to rain-forest as it winds through very steep hillsides and atop cliffs. 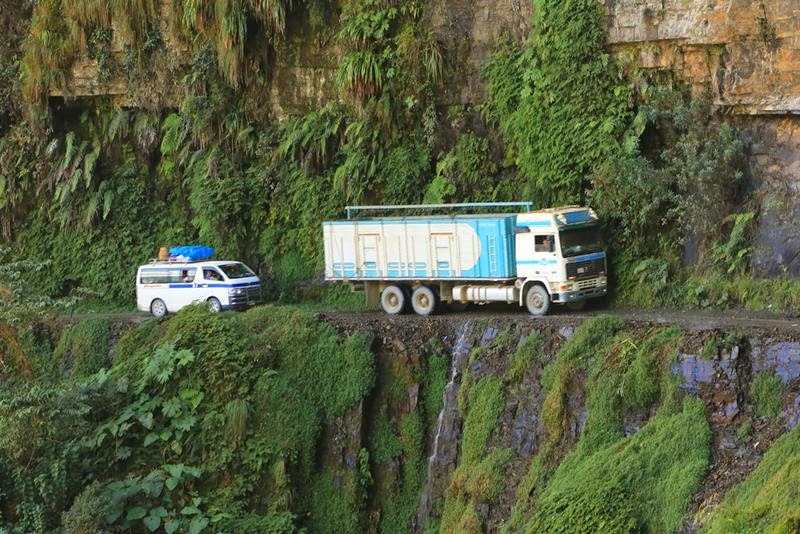 The largely single-lane road has no guard rails and cliffs of up to 600 meters (2,000 feet). 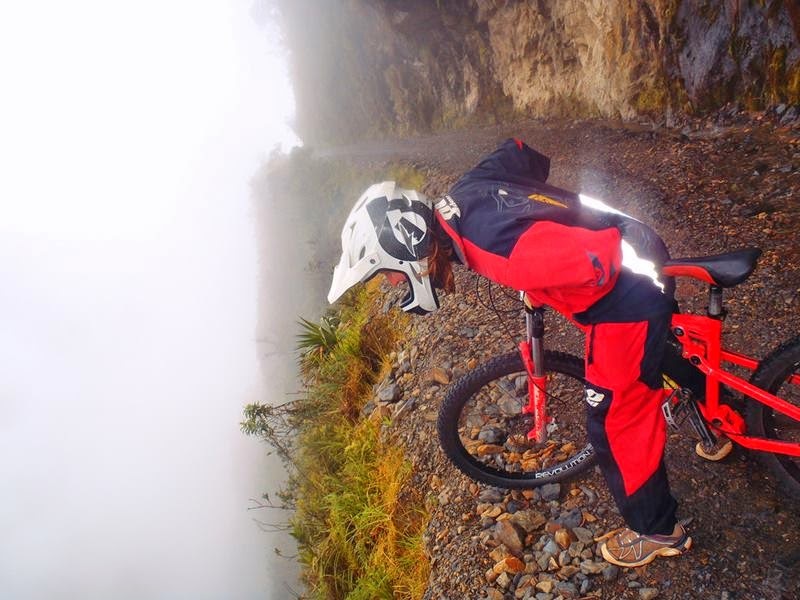 Most of the road is the width of a single vehicle, about 3.2 meters (10 ft). 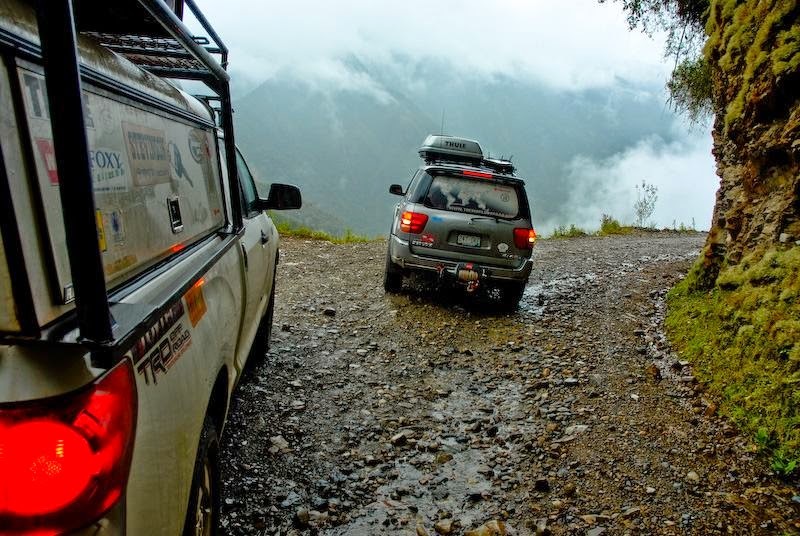 During the rainy season from November through March, rain and fog can severely hamper visibility, and water runoff can turn the road into a muddy track, affecting traction. 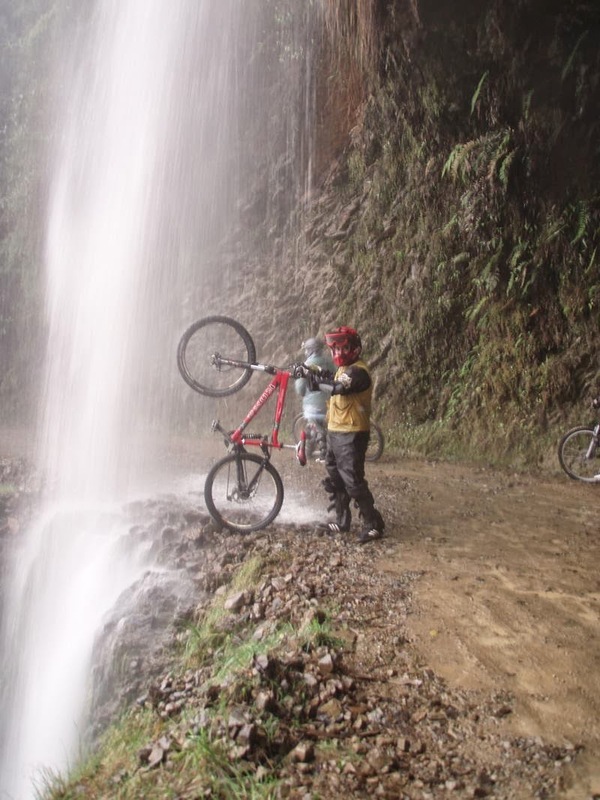 In the summer, rockfalls are common and vehicle dust limits visibility as well.